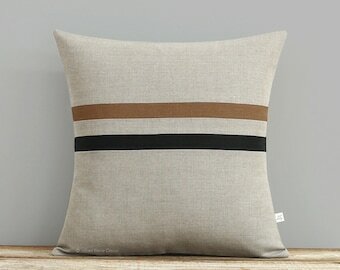 (Set of 2) Colorblock stripes in caramel, black and natural. Perfect for fall and beyond! 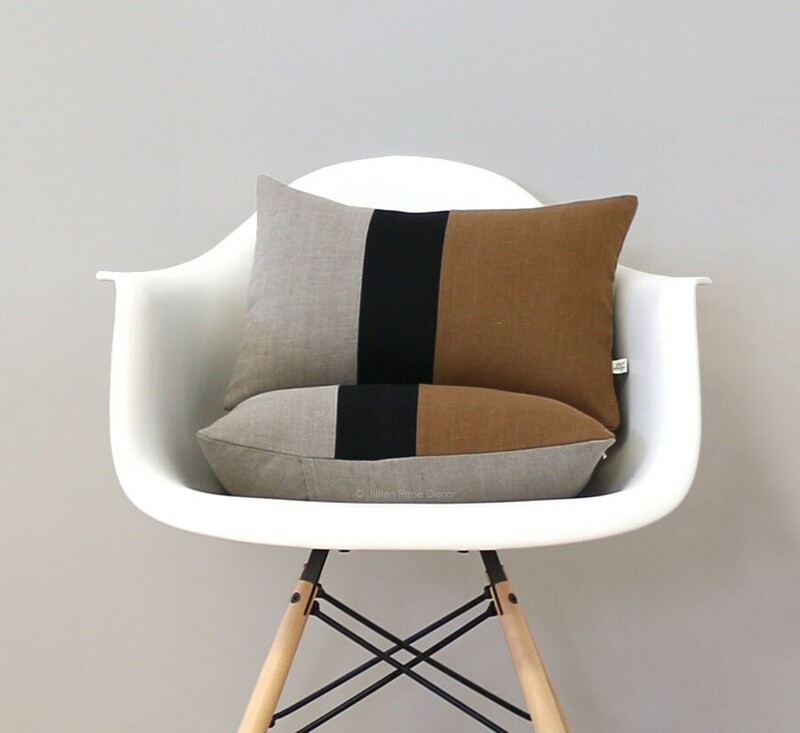 These handsome pillows will make the perfect accent on a chair, sofa, window seat or bed. They would also make a perfect housewarming gift too! 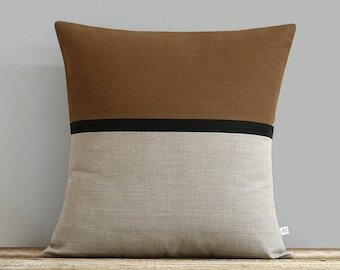 - Front: caramel, black, natural linen colorblock stripes.